This landmark book probes Muslims' attitudes toward Jews and Judaism as a special case of their view of other religious minorities in predominantly Muslim societies. With authority, sympathy and wit, Bernard Lewis demolishes two competing stereotypes: the Islamophobic picture of the fanatical Muslim warrior, sword in one hand and Qur'?n in the other, and the overly romanticized depiction of Muslim societies as interfaith utopias. 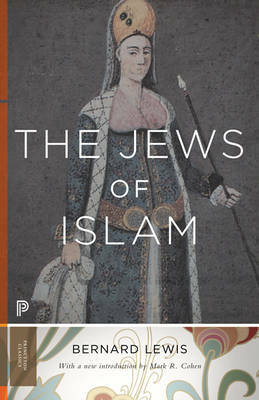 Featuring a new introduction by Mark R. Cohen, this Princeton Classics edition sets the Judaeo-Islamic tradition against a vivid background of Jewish and Islamic history. For those wishing a concise overview of the long period of Jewish-Muslim relations, The Jews of Islam remains an essential starting point.